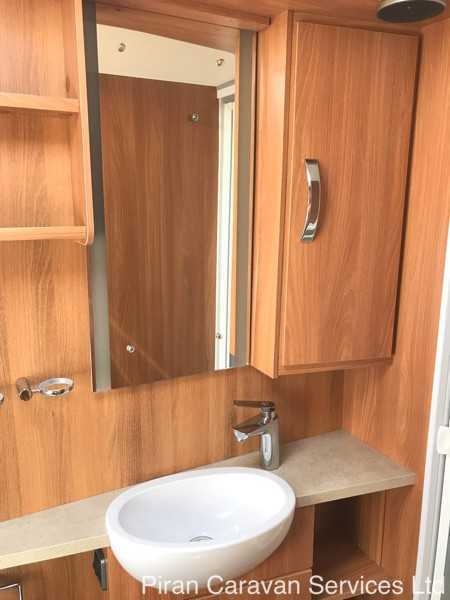 This is a fantastic example of a very desirable top of the range single axle Swift Conqueror 570 with a fixed bed and large end bathroom, as well as the highest level of fixtures and fittings. 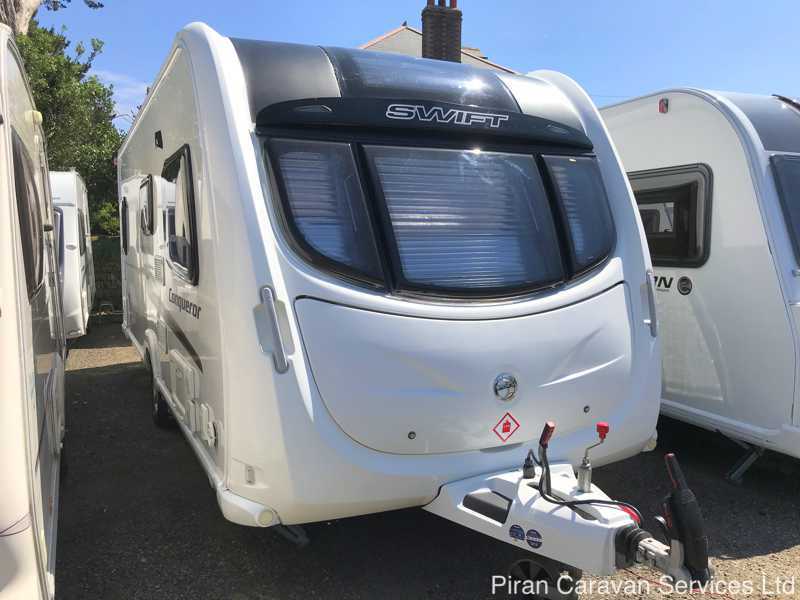 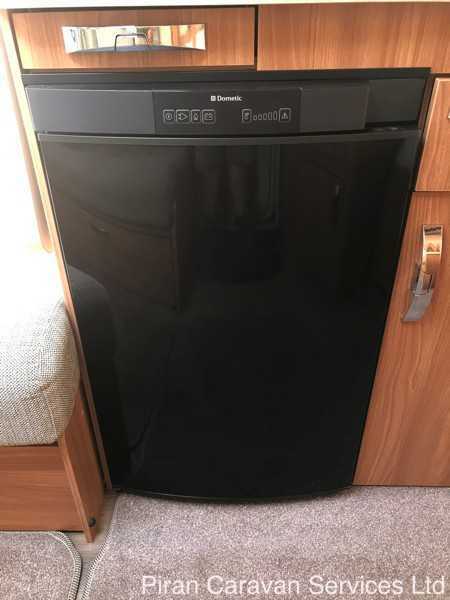 It is in exceptional condition, having been very well looked after by its owner and comes with a Powrtouch Evolution remote control motor-mover, with a brand new control unit fitted just a few weeks ago, making siting the caravan on tricky driveways or pitches a real breeze. 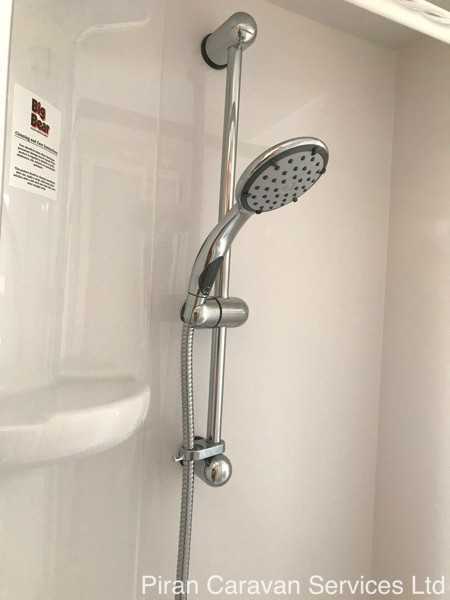 It comes with a number of essential extras and will be fully valeted by us and serviced and damp-checked by an independent specialist workshop. 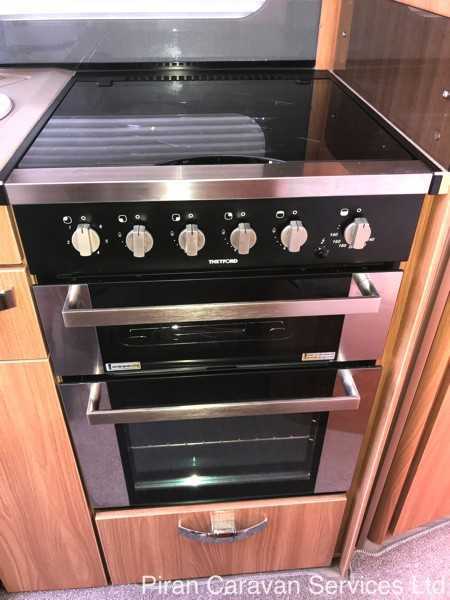 The premise behind the Conqueror range was to produce a modern, spacious caravan which had the highest level of equipment and luxury available, resulting in a caravan which refuses to compromise on quality as shown in the inclusion of Alde programmable central heating on this model. 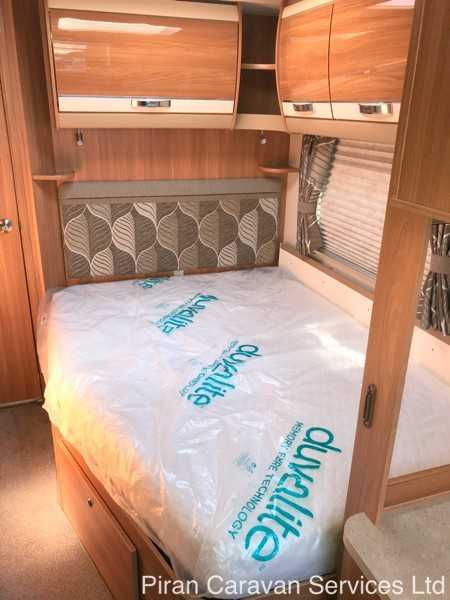 The Alde central heating system uses radiators to provide warmth throughout the caravan, eliminating cold spots. 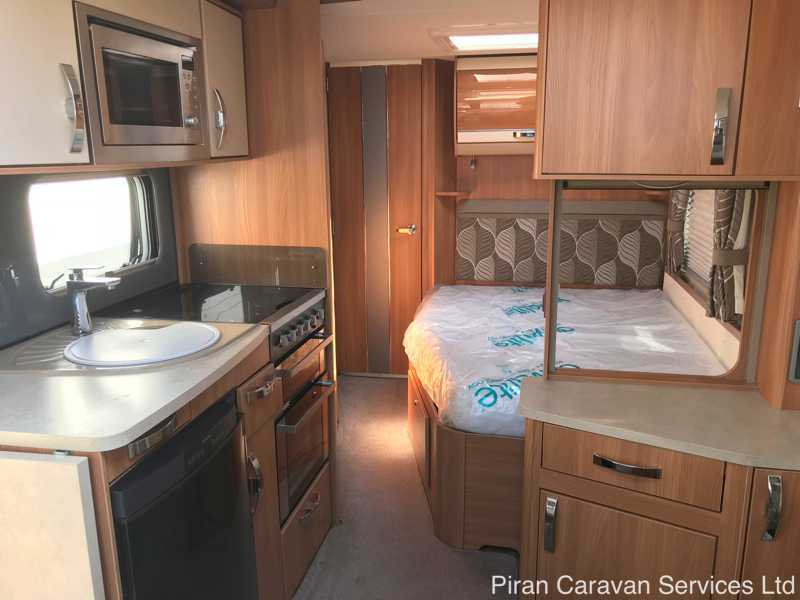 The Conqueror 570 combined a desirable fixed rear bed with a large end washroom, enabling space to distributed generously throughout the caravan. 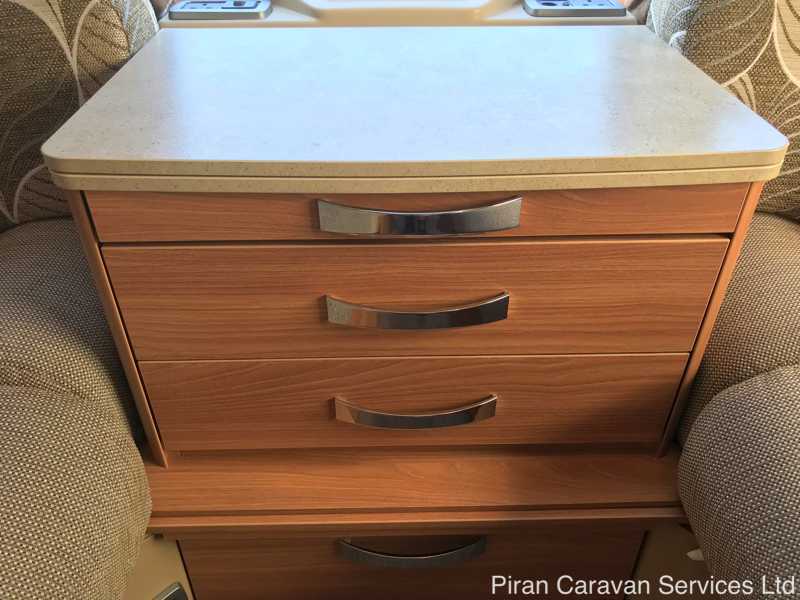 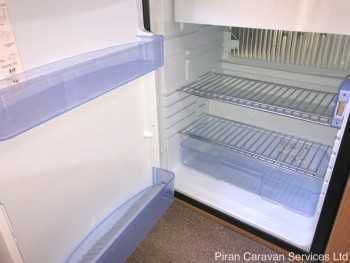 This 570 is a 1 owner caravan and is in simply excellent condition, and, for real peace of mind for a new owner, will be fully serviced and damp-checked prior to sale. This Swift Conqueror 570 is both excellent value and an excellent choice on the secondhand market, for a customer who wants nothing but the best. 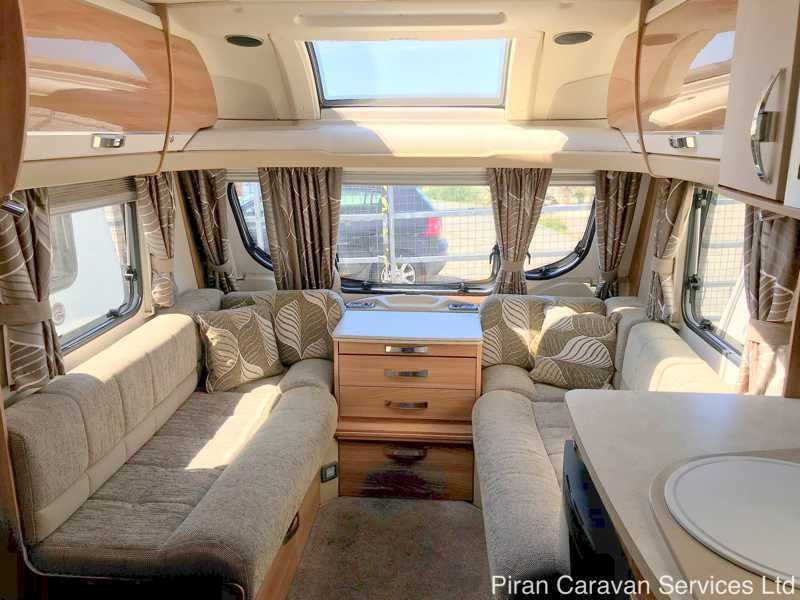 Externally, the design of the Conqueror 570 range was updated with an aerodynamic closed-mould sweeping GRP front and rain deflector, with wide front locker door and full height rear panel, and the roof was fully bonded for extra strength and flatness. 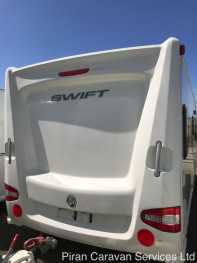 Attractive graphite grey and red graphics and 'Storm' alloy wheels which have been fitted with 2 brand new tyres, with additonal Tyron bands, set off the one -piece, marine grade, gloss white aluminium sides and the caravan has been treated with Glamourshield paint protection treatment to ensure the exterior will continue to look fantastic. The Conqueror features grade 3 insulation in the walls and floor, making this a caravan which can be used in all seasons. 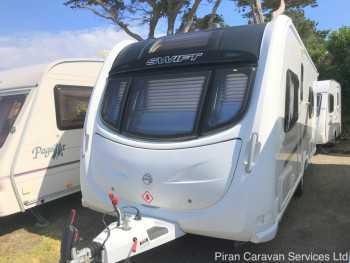 Built on an AL-KO galvanised chassis, with shock absorbers, euro axle, two way assisted handbrake and AL-KO stabilising hitch, the Conqueror 570 is a thoroughly modern and safe caravan to tow. 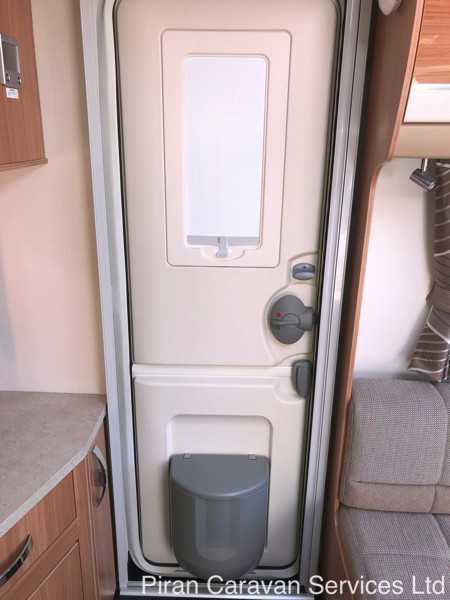 The exterior two-part door has an interior moulded liner, window and blind. 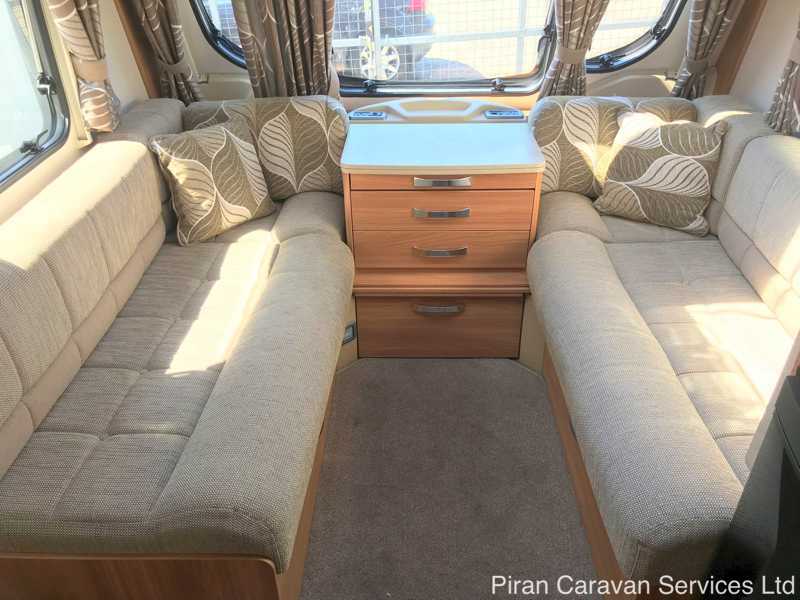 At the front of the caravan, panoramic privacy windows, featuring flycreens and black-out blinds, provide a fantastic view from the lounge which consists of 2 bench seats, of spaceframe construction, which convert into a double bed with the pull-out slat system. 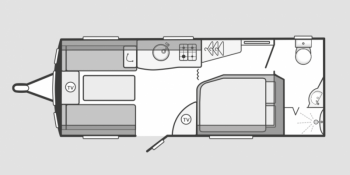 Storage is provided under the seats, in the centre-positioned chest of drawers and in the overhead aircraft-style lockers. There is a small table which pulls out from the top of the chest and a separate folding table is provided for family dining. 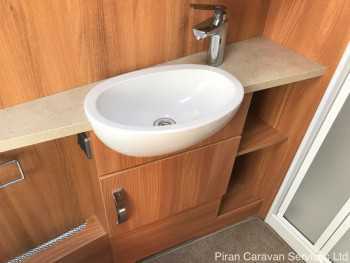 The interior design has been carefully co-ordinated with the 'Mali Acacia' wood grain, providing rich colouring and defined wood texture, throughout the furniture in the caravan. 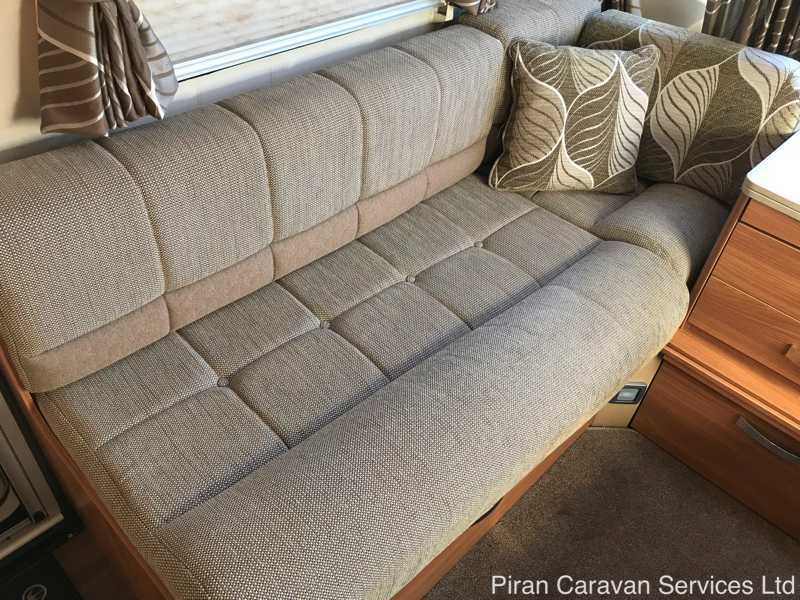 The 'Kieran' design upholstery features neutral tones, complemented by matching curtains, scatter cushions and drop-in carpets, resulting in a modern and attractive living space. 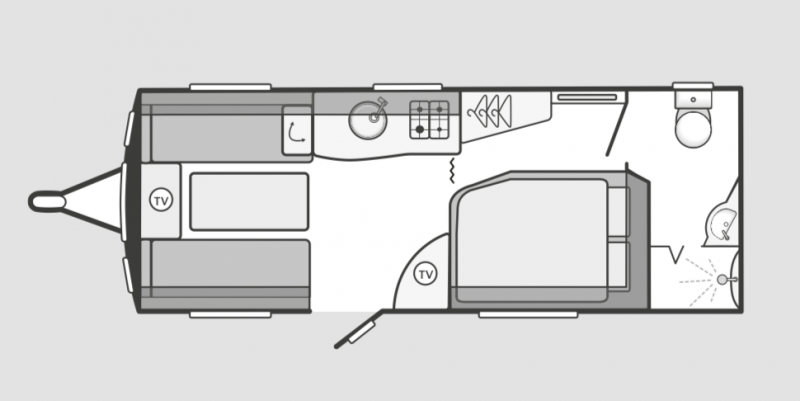 A Heki 2 rooflight, provides ventilation and light into the living area. 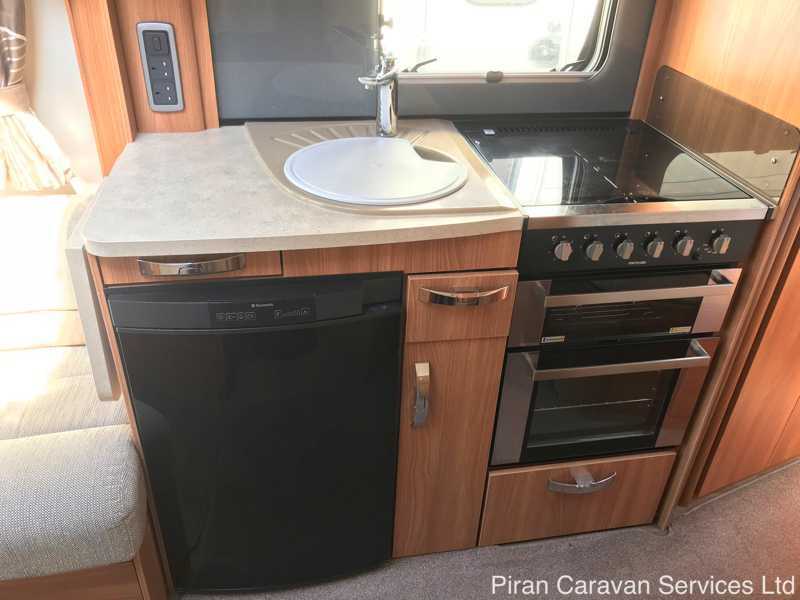 Moving to the kitchen, the Conqueror 570 is fitted with a graphite-effect kitchen sink with removable drainer, with an extended worktop providing ample space for meal preparation. 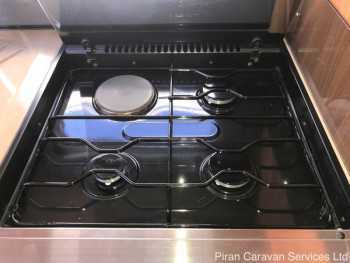 A dual-fuel hob with 800w electric hotplate, domestic-style built in oven and grill, and a ventilated microwave oven take care of all the cooking requirements from simple breakfasts to family meals. A large 112ltr three way fridge has digital controls and attractive metallic finish. 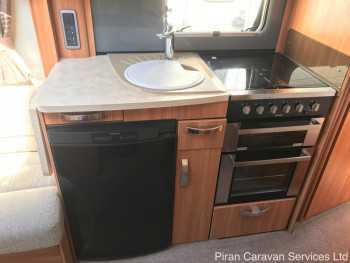 There is a rooflight above the kitchen which provides ample ventilation. 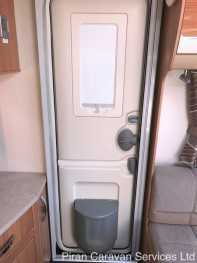 Next to the kitchen is a large wardrobe providing hanging space for clothes. 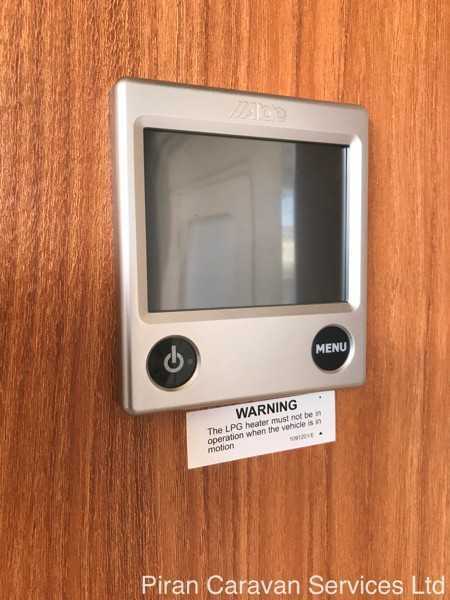 Opposite the kitchen is a TV point with 230v, 12v and aerial sockets, with a clear reception provided by a Status 530 aerial. 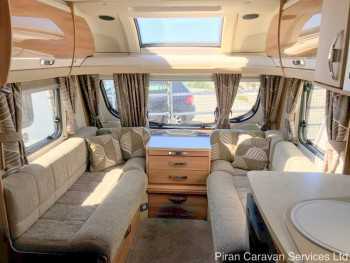 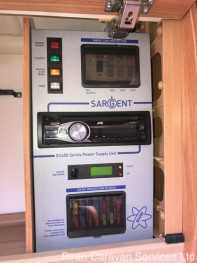 There is a radio/cd player with auxiliary input, to provide the soundtrack to your caravan holiday. 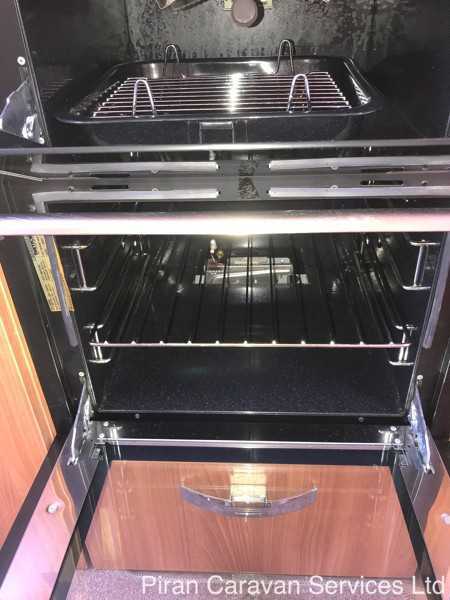 The top of the range conqueror has the ALDE radiator central heating and water heating system, featuring daily programmability via an easy to use LCD control panel ensuring that heating and hot water is available when required, even if the owner is out for the day! The current owner has had the Alde coolant in the system upgraded to the 5 year version, which means that it won't need to be changed for another 4 years. At the rear of the caravan is the bedroom which features a desirable fixed bed, on a spaceframe, which lifts up, providing access to the large storage space underneath. 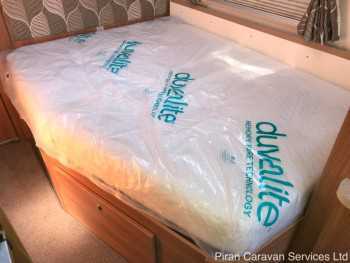 The bed has a high quality 'Duvalay' pocket sprung mattress, still in its plastic covering, for a perfect night's sleep. The bedroom can be partitioned from the rest of the caravan for privacy. 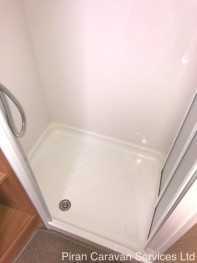 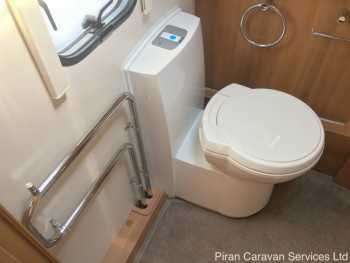 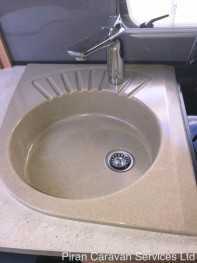 In the rear of the caravan, a thick domestic style door leads to the generous washroom, featuring a Thetford c-250 swivelling toilet with electric flush and separate lined shower cubicle with 'ecocamel' shower head and mixer tap. A high flow rate in-board water pump ensures excellent water supply to the kitchen and washroom. The bathroom also features an Alde heated towel rail and a washbasin in a vanity unit with a backlit mirror. Also in the caravan is a user friendly large 12v control panel with battery selection, battery state meter and water pump circuit control. 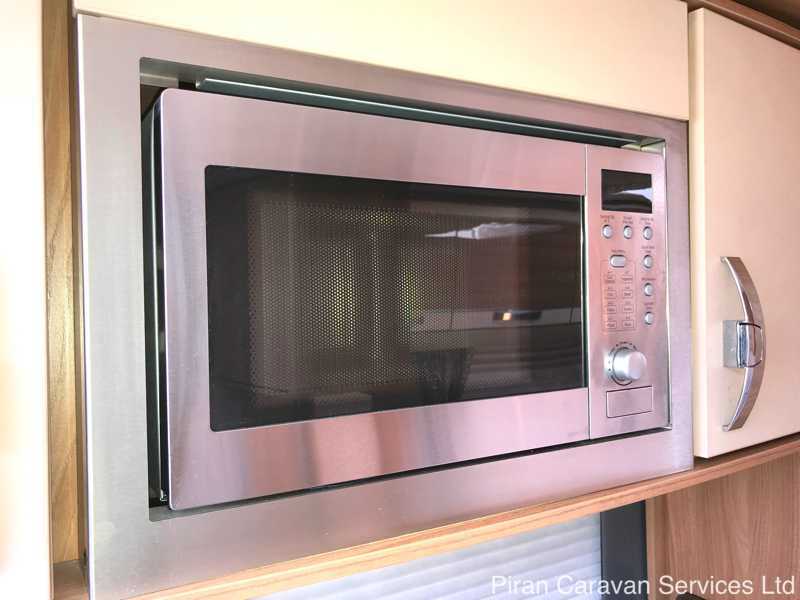 The electrical system is fully rcd/mcd protected and there are four 230v sockets in the caravan. 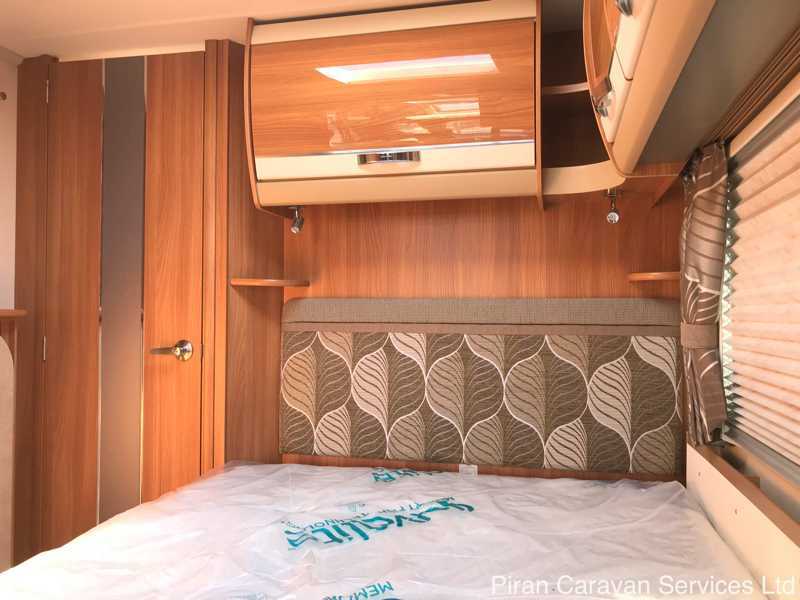 There are also concealed low energy LED lights and task lights in the caravan, which provide attractive lighting for the interior. This top of the range Conqueror also comes factory fitted with a 40w roof-mounted solar panel and features an active Tracker system, with the transferrable subscription valid until February 2019. 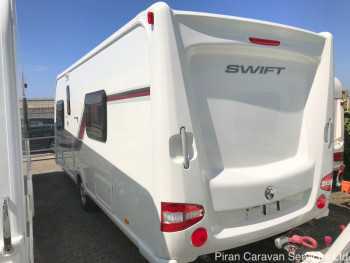 In summary, this top of the range Swift Conqueror 570 is an beautiful, highly specced, 4 berth caravan with a desirable fixed bed and all the features and equipment you would expect in a modern luxury caravan. 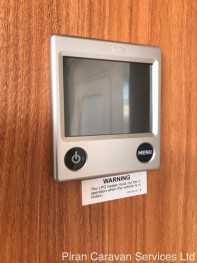 It will be valeted externally and internally, and serviced and damp-checked by an independent specialist engineer prior to sale, providing real peace of mind for the new owner. The fact that it comes with a top of the range Powrtouch motor mover, makes this beautiful Conqueror 570 fantastic value at this price.